It’s common knowledge that children have an ability to pick up foreign languages fast. Their young brains retain new words so much easier than ours and they have a willingness to express themselves in a new language without being self-conscious. Early immersion into a foreign language environment is very helpful especially one that is fun, friendly and action-packed. 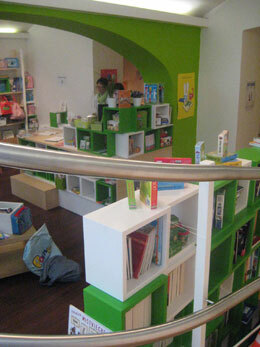 Kinderschule offer this approach in teaching German to kids (age 4 to 8 years) with little or no German. 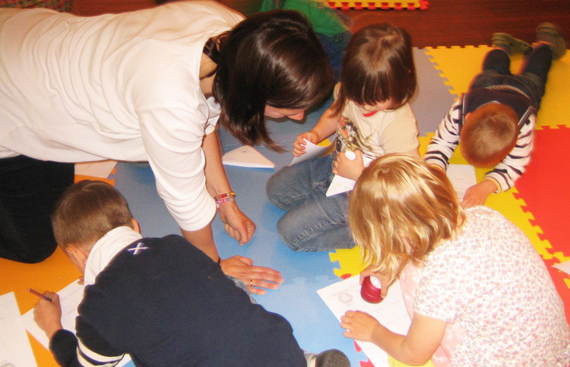 Their small group approach is focused on physical activity, rhymes, songs and cultural activities that involve all the senses in the learning process. 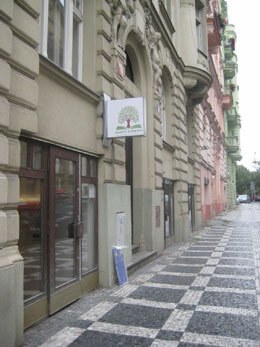 Kinderschule recently opened their German classes to young learners at the lovely bookstore Amadito & Friends in Prague 5. 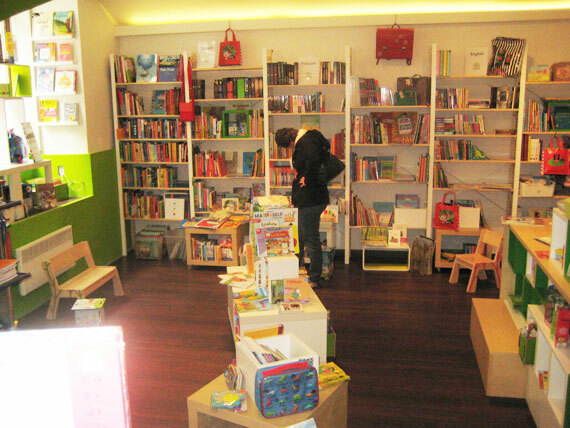 This is quite handy as Amadito stock a wide range of German, French and English books so children can pick a new german-language book to take home and read after class. These classes are for beginners and are run by native German speakers. The teacher only speaks German to the kids and kids are able to understand and learn from context and through tested methods, the most natural way of learning. In case of emergency or in any communication with parents, the teacher/organiser can switch into English or Czech. Classes involve physical activity to inspire learning and the school’s motto is ‘move, jump, learn’. Kids have fun learning their new language with the help of a range of activities and movements like rhymes, singing, dancing, running and jumping - involving all senses. 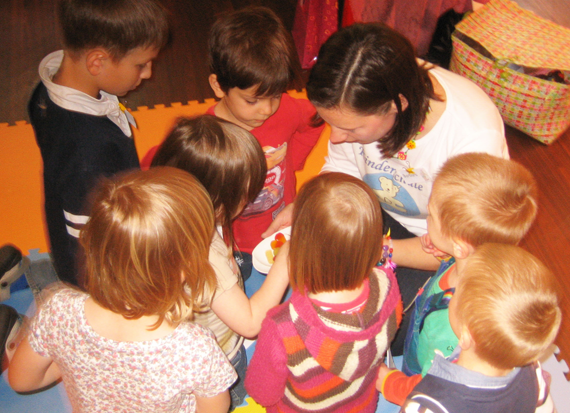 Specially compiled materials, mainly from the Goethe Institute, are used in order to meet the individual needs and learning styles of the early learners who absorb German culture through these resources. 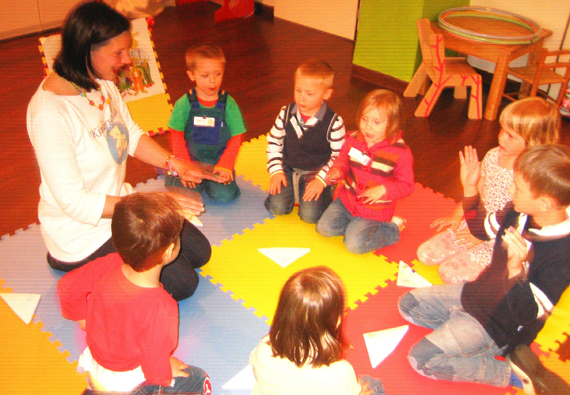 Classes also introduce children to the cultural aspects of Germany. Each week they’ll learn about German food, drinks, customs and behaviour, landscapes, traditions and design. If you’d like to come along and take a look or for information on semester dates contact Barbara Vávra. Her contact information and further information can be found at the Kinderschule website. By Metro: Yellow Line B to Andel (300m walk to the shop). By Car: Novy Smichov Shopping Complex (free for 3 hours during the week and for 5 hours on weekends).